The St. Louis Blues have signed forward Martin Havlat to a one-year contract worth $600,000. 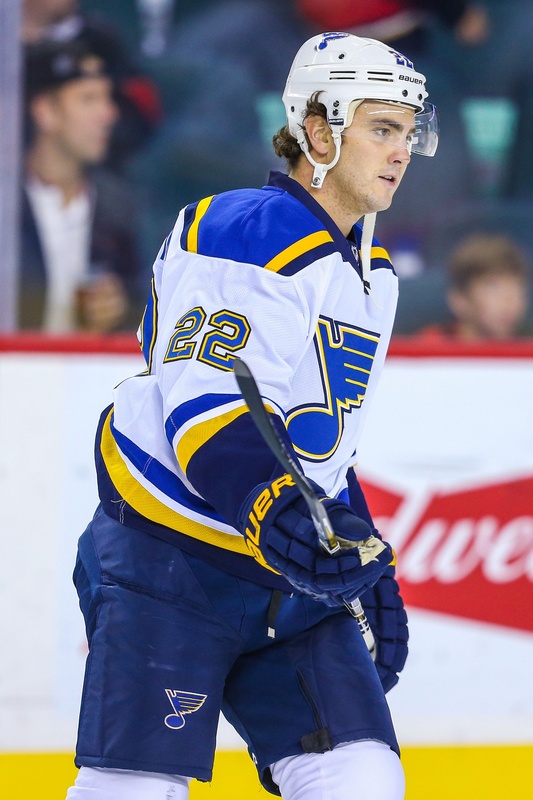 They also activated defenceman Kevin Shattenkirk from the injured reserve list and released forward Dainius Zubrus from his professional tryout with the club. Havlat was invited to a professional tryout with the Blues last month and his signing will address some of the injuries woes the team has been contending with as of late. Patrik Berglund, Paul Stastny and Jaden Schwartz are all out of action, which provides a spot for the 34-year-old from the Czech Republic. Havlat found himself without a contract after spending last season with the New Jersey Devils. He struggled with injuries, again, and only skated in 40 games. He put up 14 points and was a minus-11 for the Devils, which didn’t help his chances over the summer. In fact, it’s been quite some time since Havlat’s played a full season. He played 78 games with the Minnesota Wild in 2010-2011 and put up 62 points, including 22 goals, but it’s been all downhill since then. He spent three seasons with the San Jose Sharks prior to his turn with the Devils, but things never really panned out. Still, Havlat has 593 points across 788 career NHL games and can light the lamp from time to time. If the Blues can get him going, they’ll have a reliable forward until the next injury takes him out of the lineup. Getting Shattenkirk back is a good thing, obviously. The 26-year-old blueliner is slated to return against the Nashville Predators on Saturday after missing the first 10 games of the season with a lower body injury. He has an assist in three games this season, but he can pile up the points and plays a solid transition game. Like Havlat, Zubrus was invited to a team tryout. Unlike Havlat, Zubrus didn’t make the cut. The 37-year-old from Lithuania is coming off eight seasons with the Devils. Last season, he had a meagre 10 points in 74 games and seems past the downward trajectory of his career. Zubrus played some of his best hockey with the Washington Capitals, including in the 2005-2006 season when he piled up 57 points in 71 games. The Blues also assigned forward Ty Rattie to the AHL’s Chicago Wolves, so it was a busy Friday all around in St. Louis.